Medical wearables combine a lot of small but advanced technologies into little packages that collect health data, offer warnings and even administer treatment. But for these products to be successful – to be readily adopted by users and made part of their daily lives – they must be packaged in great designs that are not only functional but also lightweight, comfortable and stylish. Each of these products offers some excellent design insight that you can use to help inspire your next product innovation. 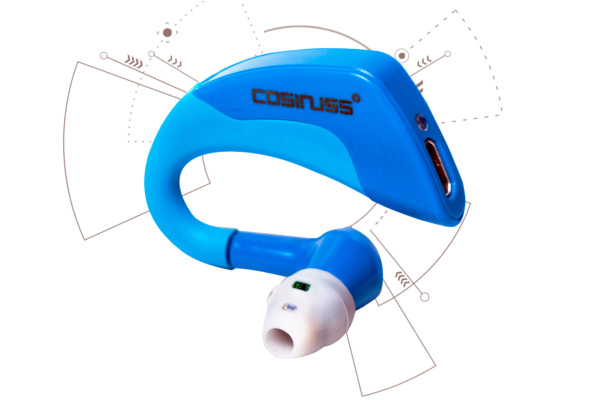 cosinus (with a small “c”) is an in-ear wearable with an impressive array of sensors that monitor heart rate, blood pressure, body temperature and blood oxygenation. All measurements are made automatically and the data is sent to a central database via a mobile app. This allows healthcare professionals to monitor multiple vital signs remotely and respond if intervention is needed. The ear sensor is low-cost and unobtrusive. Wearers can also play music while exercising and receive audio health warnings if necessary. It has a 3D accelerometer for tracking sporting activities, is waterproof for swimming, and can even be used for hands-free phone calls. All of this shows the value of combining multiple useful features into a discrete package that can do more than just provide health alerts. The vast majority of us spend too much of our lives sitting and staring at a variety of screens. That means we slouch, and the consequences of slouching and bad posture can be serious over time. We’re all familiar with neck, back and shoulder pain, but bad posture also adversely affects mood, circulation, digestion and even hormone levels. If you can’t leave your desk, one solution is to remind yourself to maintain good posture. The Upright GO is a monitoring device that attaches using a simple silicone adhesive. It has position sensors that alert you with a gentle alarm if you spend too much time in a forward crouch. The settings are adjustable through a smartphone app, and the Bluetooth-enabled device easily fits under a shirt or blouse so it’s unobtrusive. Frequent users report improved health results in a few weeks. We like the discrete form factor, the lightweight plastic injection molded case using a single operating button, and the simplicity of performing a single function in the most direct, user-friendly way without being conspicuous. Many people suffer from chronic pain in the lower back, joints or soft tissue. Managing pain therefore is a constant necessity for maintaining an active and productive life. The Oska Pulse uses PEMF (Pulsed Electromagnetic Field) technology to induce low-frequency electrical vibrations into the body. These stimulate the electrical signals within our cells. Such technology has been shown to increase blood flow to speed tissue recovery, eliminate waste in damaged tissue and relax areas that are sore and stiff. It can be used alone or together with other medically-supervised treatments. 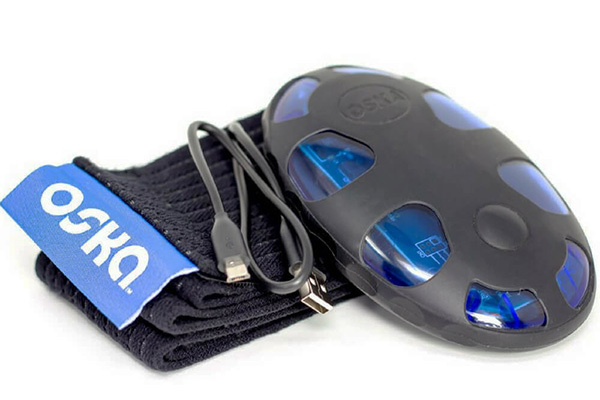 The Oska Pulse offers pain management and treatment without drugs, addiction, side effects or the risk of overdose. We like that it’s portable, wireless, rechargeable and can be used anywhere on the body to provide point-of-contact relief and healing. It’s no secret that obesity levels are on the rise throughout the developed world. New diets and treatment regimens are constantly being developed, but nutritional science is showing us just how hard it can be to permanently lose weight even by counting calories and exercising. 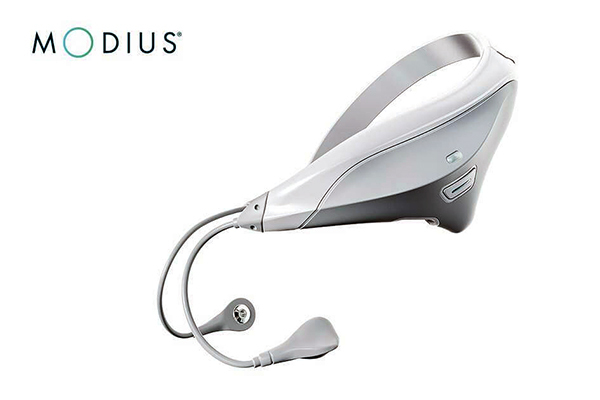 The Modius is a revolutionary approach that is non-invasive, drug-free, affordable and is showing remarkable results. It generates a small electrical current that stimulates the vestibular nerve at a point just behind the ears. This in turn regulates the hypothalamus and reduces the craving for food. Used only one hour per day, the Modius has shown great weight loss results with no negative side effects, and can be used discretely in the privacy of the home. The fact that it appears both comfortable and stylish will help encourage people to use it every day. For several years now, watches have been part of the fitness wearable trend, using heart rate monitors to go along with calorie trackers and exercise apps. The latest series 4 watch from Apple is now a much more serious health monitor, adding an industry-first, FDA-approved ECG (electrocardiogram) sensor. Over several years of testing involving hundreds of thousands of participants, the ECG monitor provided a high degree of reliability in alerting users to the potential for atrial fibrillation (A-fib). This is commonly known as an irregular heartbeat, and A-fib can signal the increased likelihood of stroke or heart attack. Unlike previous versions that required third-party accessories, the Apple wearer performs this test by simply touching and holding the button on the bezel. Information can then be sent automatically to a healthcare provider for further clinical tests and treatment. The watch also has advanced gyroscopes that sense if a wearer has fallen down, again signaling to caregivers. The Apple watch is already seen as a high-end fashion accessory. 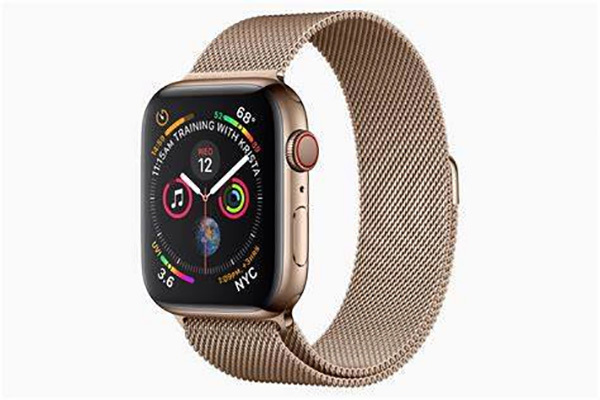 Apple is able to leverage the popularity of their other connected devices and services to make this watch an attractive addition to the Apple products ecosystem. We’ve been fortunate to work with other product developers on next-generation wearables, such as the smart textiles from Skiin or the Doppel band. We have all of the rapid prototyping and manufacturing services you need to develop your next wearable solution, from CNC machining and vacuum casting to plastic injection molding and more. Contact us today for a free quote to see how we can help you.